Maidenhall is a district of Luton north of the town centre and Bury Park, centred on Maidenhall Road. The area is roughly bounded by the Midland Main Line to the north, Hatters Way to the south, Roman Road, Beechwood Road, Waller Avenue, and Chaul End Lane to the west, and Highfield Road and Claremont Road to the east. The area is a wide mix of residential, industrial, and commercial areas. Maidenhall is falls between the Challney and Saints wards of Luton. 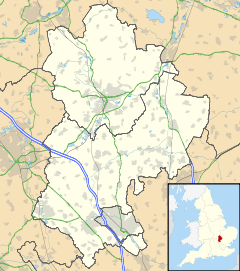 The wards forms part of the parliamentary constituency of Luton North, and the MP is Gavin Shuker (Labour). Maidenhall is situated within the East of England (European Parliament constituency). This page was last edited on 17 May 2018, at 15:30 (UTC).